The project is a response to the negative changes occurring to xerothermic grasslands throughout Europe, as well as in Poland. Its main aim is to comprehensively protect the most important areas of xerothermic grasslands in our country along with its invaluable flora and fauna. This is exactly why we chose two very different and distant regions for the project - the Lublin province and the lower river valleys of the Oder and Warta, as they are home to some of the most valuable concentrations of xerothermic vegetation in Poland. All the activities planned in the project are aimed at preserving the valuable mosaic of thermophilous habitats required to maintain a high degree of biodiversity and the numerous plant and animal species with varied habitat requirements (among others, fringe and shrub species). The project will test and implement new solutions in xerothermic grassland conservation in Poland and disseminate the experiences and knowledge gained on this topic. The project will operate for 4 years, from 2010 to 2013. Eight Natura 2000 sites chosen for the project (Dolna Odra, Ujście Warty, Niedzieliska, Kąty, Żurawce, Dobużek and Zachodniowołyńska Dolina Bugu) are in large part areas brought under protection chiefly to preserve xerothermic vegetation. Xerothermic grasslands comprise as much as 50-70% of some of these sites (among them: Kąty, Stawska Góra, Żurawce, Niedzieliska), including plots with orchids. Furthermore, other habitats listed in the Habitats Directive also occur in parts of the areas included in the project: xeric sand calcareous grasslands, Juniperus communis and dwarf cherry Prunus fruticosa associations, as well as riparian mixed forests of the oak, elm and ash association. 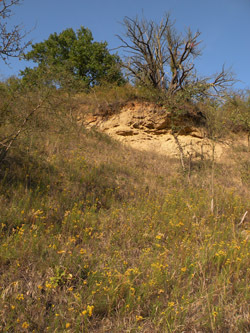 Some of Poland's rarest xerothermic species are found in the areas included in the project, with several listed in Annex II of the Habitats Directive. 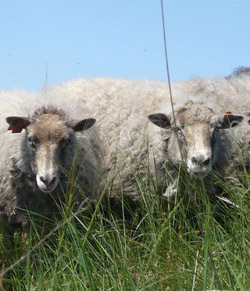 The sites included in the project, as is the case with most xerothermic grassland areas in Poland and Europe, have come under severe threat over the last few decades from intensified agricultural practices and related changes in land use. These grasslands are especially affected by the abandonment of extensive grazing and resulting natural succession, as well as by afforestation, plowing and transformation into cultivated fields. Other negative processes include grassland eutrophication and the invasion of non-native species related to the degradation of abiotic conditions occurring together with the aforementioned processes.